At Campsite Les Dômes in Nébouzat (Puy-de-Dôme) camping costs as little as €16,- per night during low season with CampingCard ACSI. At one of the 40 touring pitches you will get a discounted rate during the period 22-04-2019 - 06-07-2019 and 26-08-2019 - 05-10-2019. At this campsite you can not only use your CampingCard ACSI for inexpensive camping, you can also use your ACSI Club ID (as an alternative ID). 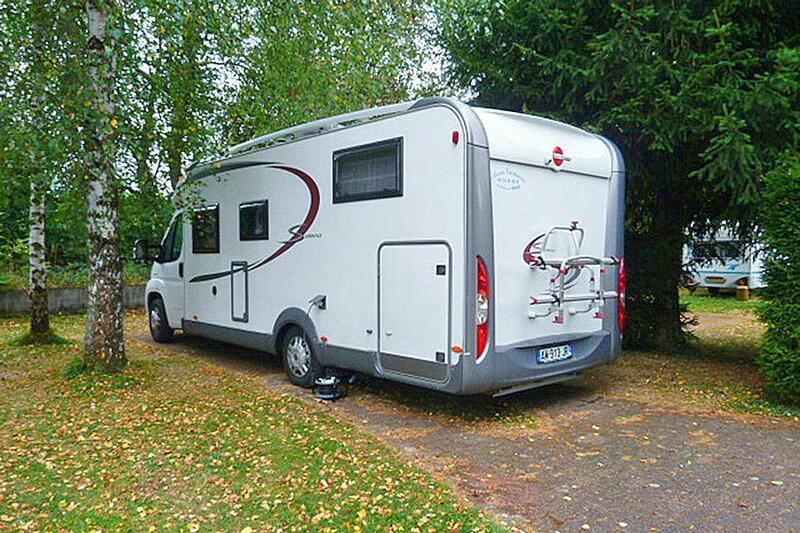 A fine family campsite with facilities for motorhomes. Level rectangular grounds with plenty of flowers and well maintained camping pitches. Indoor heated swimming pool in early and late seasons. The largest number of volcanoes in the Auvergne are in this region. Close to Vulcania and Le Puy de Dôme. Would you like to book Campsite Les Dômes or request more information? You can do both using the information below or by visiting the campsite's website. From the A75 exit 5 direction Aydat. Take the Col de la Ventouse D2089 in the direction of Ussel and pass Nêbouzat. Signposted. CampingCard ACSI will send your information request to "Campsite Les Dômes".